Osteoarthritis (OA) also referred to as degenerative joint disease (DJD) is a group of joint abnormalities involving degradation of joints, including articular cartilage and subchondral bone. It is not an inflammatory disease. Symptoms may include joint pain, tenderness, stiffness, locking, clicking, and sometimes an effusion. There are a variety of causes including hereditary, developmental, metabolic, and mechanical deficits. When bone surfaces become less well protected by cartilage, bone may be exposed and damaged. As a result of decreased movement secondary to pain, regional muscles may atrophy, and ligaments may become more lax. This condition is a wearing away of cartilage in the hip joint caused by arthritis, which can develop because of trauma, infection, age or autoimmune disorders. The main symptom is pain, causing loss of ability and often stiffness. “Pain” is generally described as a sharp ache or a burning sensation in the associated muscles and tendons. OA can cause a crackling noise (called “crepitus“) when the affected joint is moved or touched and people may experience muscle spasms and contractions in the tendons. Occasionally, the joints may also be filled with fluid. Some people report increased pain associated with cold temperature or high humidity. OA commonly affects the hands, feet, spine, and the large weight bearing joints, such as the hips and knees, although in theory, any joint in the body can be affected. As OA progresses, the affected joints appear larger, are stiff and painful, and usually feel better with gentle use but worse with excessive or prolonged use, thus distinguishing it from rheumatoid arthritis. Damage from mechanical stress with insufficient self-repair by joints is believed to be the primary cause of osteoarthritis. Sources of this stress may include: misalignments of bones caused by congenital or pathogenic causes; mechanical injury; excess body weight; loss of strength in the muscles supporting a joint; and impairment of peripheral nerves, leading to sudden or uncoordinated movements. It is more among siblings, and especially identical twins. It is more prevalent among post-menopausal women than among men of the same age. Other non-primary causes include: Alkaptonuria, congenital disorders of joints, diabetes, Ehlers Danlos Syndrome, Hemochromatosis, inflammatory diseases (such as Perthes disease), Lyme disease and all chronic forms of arthritis, injury to joints or ligaments (such as the ACL), as a result of an accident or orthopedic operations, Marfan syndrome, obesity, and septic arthritis (infection of a joint). Diagnosis can be made based on history and clinical examination. X-rays may confirm the diagnosis. The typical changes seen on X-ray include: joint space narrowing, subchondral sclerosis (increased bone formation around the joint), subchondral cyst formation, and osteophytes. Usually other imaging techniques, such as CAT scan and MRI, are not necessary to clinically diagnose OA. Treatment generally involves a multimodal approach including a combination of exercise, lifestyle modification, analgesics, joint injections and in severe cases, joint replacement surgery. For overweight people, weight loss may be an important factor. Patient education has been shown to be helpful in the self-management of arthritis. It decreases pain, improves function, reduces stiffness and fatigue, and reduces medical usage. Moderate exercise is beneficial with respect to pain and function in those with osteoarthritis of the knee and hip. These exercises should occur at least three times per week. Physical therapies including functional, gait, and balance training. Heat can be used to relieve stiffness, and cold can relieve muscle spasms and pain. Analgesics such as acetaminophen and oral and topical non-steroidal anti-inflammatory drugs can be effective for mild symptoms. These drugs can however carry significant side effects. Oral opioids, including both weak opioids such as tramadol and stronger opioids, are also often prescribed. But they often offer very small benefits and can carry significant risk. Injection of Platelet Rich Plasma (PRP) and Adult Stem Cell Injections—There is growing evidence that this modality promotes healing in the joints and significantly improves function (please refer to our regenerative therapy section). Thousands of patients have chosen Doctor Maxim Moradian! 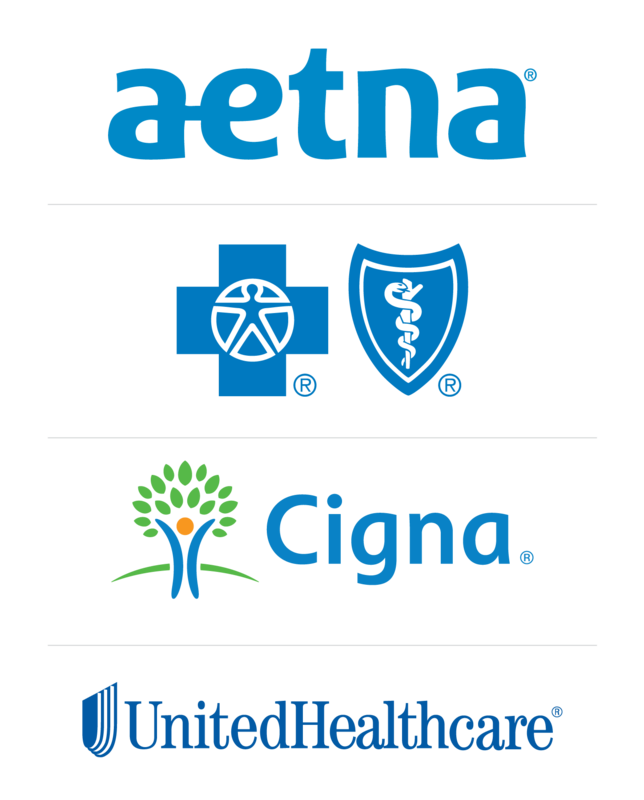 Medicare and All PPO Insurances. Please call our office for insurance coverage information! The content on this website is for educational purposes only, and is in no way intended to replace your physician’s advice. Please always consult your doctor before taking any advice learned here or on any other website.